If you are out scouring the Black Friday sales, you have to deal with demanding shoppers, cranky salespeople, and lots of waiting. If you are a parent, none of that is new to you. 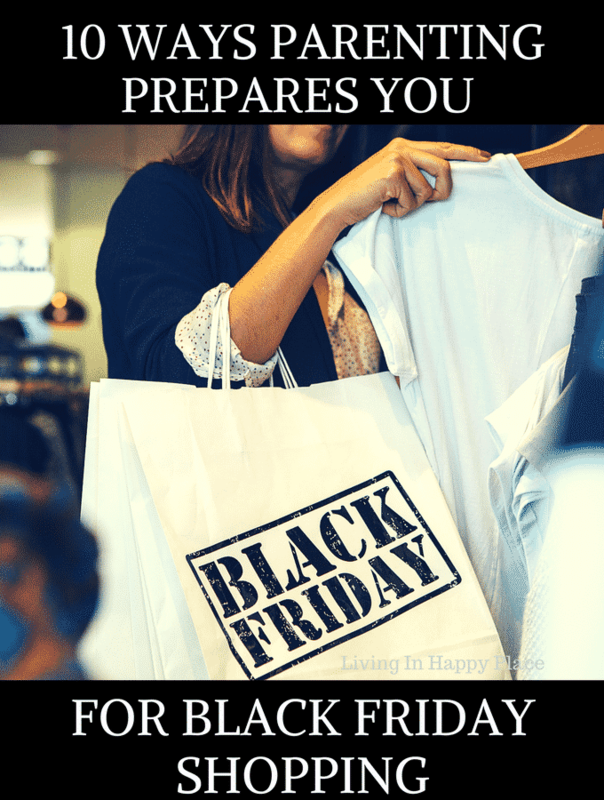 Grab your Black Friday shirts, plan your Black Friday deal tips, and read this Black Friday humor so you are ready to shop ’til you drop like a toddler at naptime! 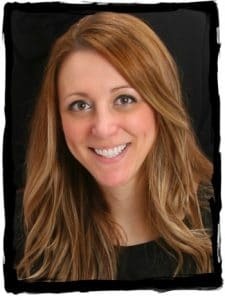 A few years ago (before I had kids) I was in Walmart when it “opened” for the Black Friday deals. There was a fist fight in the front of the store over a television. I have never returned to Walmart on Black Friday again. Truth be told, I am more of a Cyber Monday kind of girl (it feeds my Amazon obsession). I do go to the mall on Black Friday but mostly because it’s a fun family tradition. I have not yet seen a brawl in Build A Bear but I’m sure it will happen one day. Black Friday shoppers remind me of my kids. 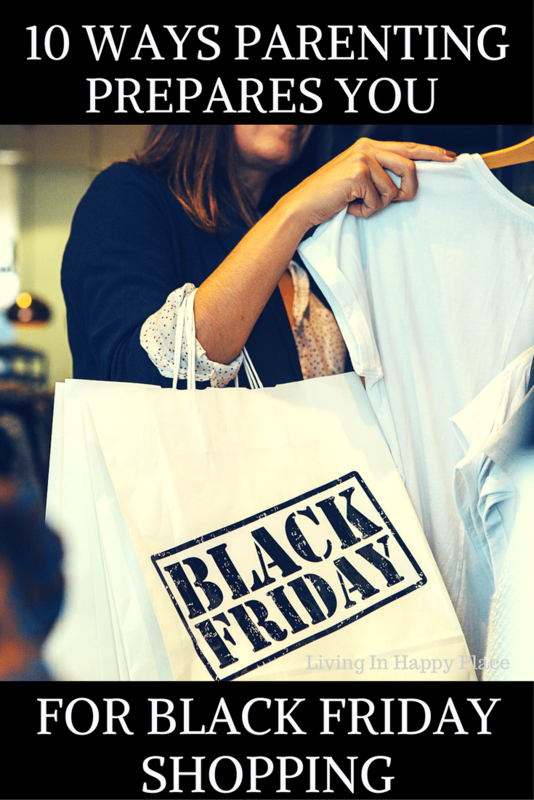 In fact, kids usually have better behavior than black Friday shoppers. At least kids will usually hold the door for you. Plus, they get distracted by their iPads so you can easily cut in front of them in line… wait, what? Think about it though: people throwing things, everyone yelling, shoppers complaining because they have to stand in line. You’re a mom. This is your EVERY trip to the mall. The whiners are just a little taller on Black Friday. 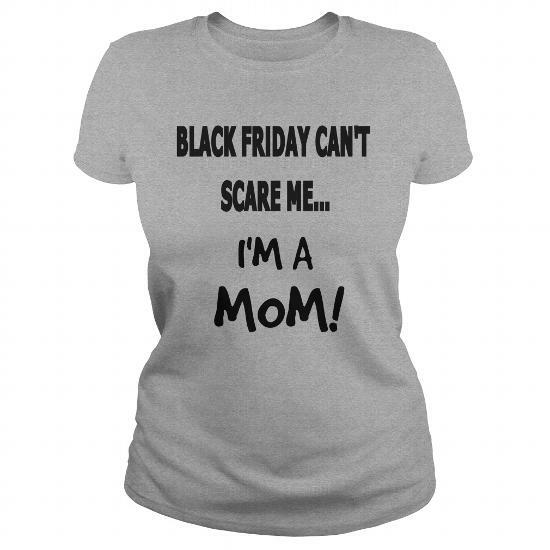 If you are a mom, Black Friday shopping should not scare you. In fact, nothing should scare you anymore. Crowds of cranky people are nothing more than an oversized group of preschoolers waiting for nap time. You totally got this. 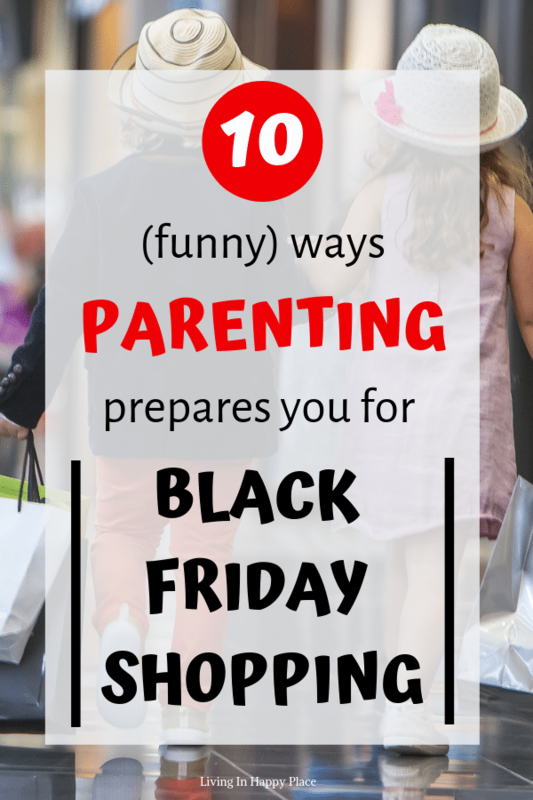 If you can survive parenting, Black Friday is a walk in the park. This post contains affiliate links which means I could earn a commission from the company for referring you to their site. It contributes to my Cyber Monday fund and allows me to keep sharing these amusing parenting moments with you here on my blog. 1. You can hold 17 boxes, 4 hangers, your purse, and a diaper bag while swaddling your infant and holding your toddler’s hand. 10. You can handle cranky, hungry, whiny, people who need a nap like it’s your job! I designed a t-shirt for you to let the other shoppers know 😉 Click on the shirt to get it! See, all those years of dragging screaming children to the mall was good for something. You learned patience, built up your biceps lifting kids off the floor, and now you can go get great deals on Black Friday because you are a Chaos Master. 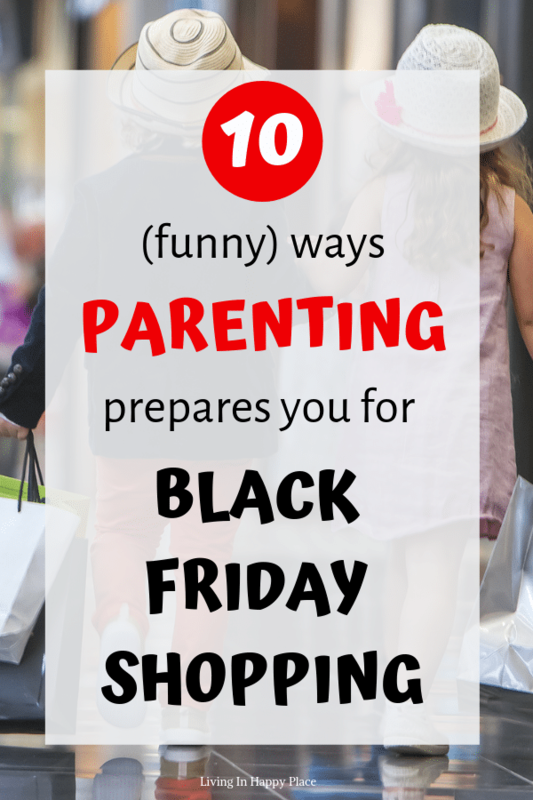 Parenting and Black Friday really are quite the same. Number three is spot on. 😂 Oh, and I have literally hauled a couch in my mini-van. Those tiny cars din’t stand a chance against me! Totally sharing this! Thanks Keri! A couch?! Go Mom! This is our first year with a minivan and I swear it can haul nearly anything!